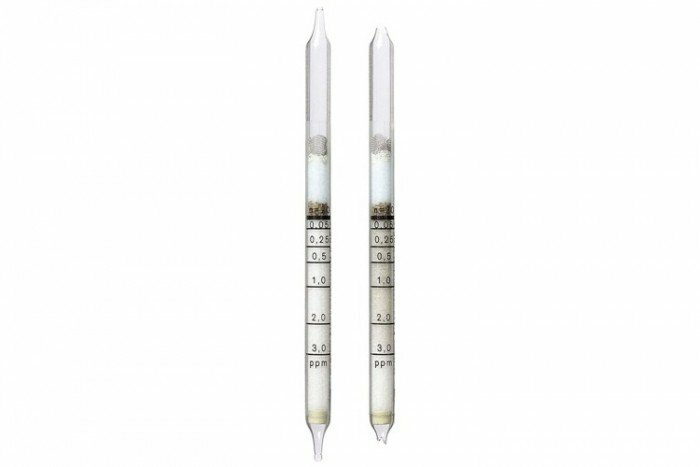 These short term detection tubes detect Arsine (0.05/a) and have a measurement range of 0.05 to 3 ppm. Other substances it may detect include antimony hydride. The Drager detection tubes have a shelf life of 2 years and come in a pack of 10. Phosphine and antimony hydride are indicated as well, but with different sensitivities. Hydrogen sulfide, mercaptans, ammonia and hydrogen chloride in the TLV range do not affect the indication. Carbon monoxide and sulfur dioxides in the TLV range also do not affect the indication..